In the previous post we wrote titled, “What is Bioprinting?”, we discussed biomaterials, cells, and creating representative 3D structures as being the basis of bioprinting. Over the course of the next few posts, we’ll try to delve a little deeper into each of these aspects in order to provide some more context about the challenges of engineering organs. This post focuses on how we can differentiate cells into the different types we need to make complex tissues. As organisms become more and more complex, the cells which make up their bodies become increasingly more specialized for a specific function, losing the ability to perform any other functions. Organisms such as planaria can be cut into multiple pieces and each piece can regenerate into an entirely new planarian. Jellyfish that have had their limbs removed reorganize to regain their symmetry. Humans and most other adult mammals lose their ability to return to the state observed during the development of the embryo, in which cells are able to change into several different types (pluripotency) from a set of common cells known as embryonic stem cells. In order to be able to address the challenges of regenerating tissues and organs, we need to be able to gain access to such stem cells, or develop techniques to convert adult cells directly into different specialized cell types (metaplasia) or into less specialized cell types (dysplasia) (Cherry 2012). Embryonic stem cells, however, are difficult to obtain. Though embryonic stem cells remained the starting source from which scientists tried to engineer different cells for many years, this all changed in 2006 when Takahashi and Yamanaka from the Kyoto University successfully converted mouse fibroblast cells into induced pluripotent cells (Takahashi and Yamanaka, 2006). In essence, they came up with a way to take adult cells back to a less specialized form, unlocking their potential to be converted into many different cell types. By doing so, they laid the foundations for work in the field of tissue engineering and regenerative medicine by coming up with a source from which many cell types could be created. They, and the other scientists that followed up on their work, did so by focusing not on recreating the conditions during development of the embryo but by applying certain factors (Oct4, Sox2,Klf4, and c-Myc)which would turn cells back to less specialized states (de-differentiation) (Hawkins 2010; Doi 2009; Kim 2010; Polo 2010). This ground-breaking work inspired scientists to try creating several different cell lineages. But a major challenge they faced when doing this work in vitro was that certain cell types only retain their characteristics when they are in their natural 3D environment. An example of this is a hepatocyte (liver cell), which loses its characteristics when cultured in 2D. So two questions arose: 1) Could we recreate the 3D environment that cells need to maintain their specific characteristics or signature? 2) Could we analyze these cells to determine how successfully we were able to change from one cell type into another? To answer 1), scientists have been working on techniques to culture cells in 3D constructs. Bioprinting is a method of standardizing the process of making these constructs as well as allowing us to make more complex constructs that mimic the 3D environment in the human body. 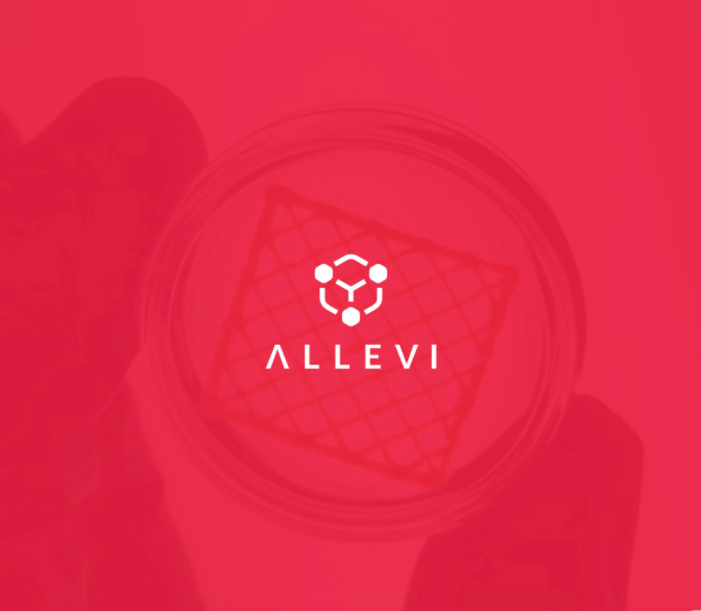 Allevi aims to make bioprinting more easily available to scientists. An answer to the second question was recently proposed by the Daley lab at Harvard. They developed CellNet, a network biology platform, to determine how successfully cells were transformed into different types by comparing their characteristic genetic signature to a database of standard cell signatures for many different cell types. It can also show the most optimal way to convert one cell type into another (Cahan, Li, and Morris 2014; Morris, Cahan, and Li 2014). So, theoretically, the constructs we build with a 3D bioprinter could be cultured and the extent of differentiation (i.e. specialization) of the many cell types as they grow within the construct could be assessed using CellNet. Indeed, the Daley lab showed that cells cultured in vivo showed more complete conversion than cells cultured in vitro in 2D conditions (Cahan, Li, and Morris 2014; Morris, Cahan, and Li 2014). This leads us to propose that cells cultured in 3D may be the way to go forward.